I just spent six hours reading Ngozi’s Americanah and finished mere moments ago! It’s excellent. No plot every really did materialize. Causality was always very murky. It was just a person doing this thing and then that, buoyed by the nebulous currents of emotions that she could neither define nor understand (with a huge amount of chance thrown in). First she’s one place dating one guy, then she’s another place dating another guy. Who knows where all those 500 pages went? But it was extremely good. For many reasons. Most commentary about the book will deal with the book’s musings on race, which are almost inelegantly naked: the book is scattered with blog posts from the main character (ostensibly from her very popular race-blog) that detail various thoughts on race in the U.S. from the perspective of an immigrant from Africa. But what I liked the best were the very subtle movements in the character and in the people around her as they aged. The novel takes place over around 15 years: extending from the character’s secondary-school years to sometime in her early 30s. And throughout it, she remains recognizably herself (which is never the difficult part of the novel). But she also matures. At one point, one of the main characters is in London and he’s living with two of his university friends and he describes how they used to be wild and rebellious in university (back in Nigeria) but now they’re so solidly bourgeois. The wife–formerly a star research assistant–has immersed herself in her children: all her hopes and dreams are embodied in them. The main character sort of taunts her by saying that when her kids grow up she’ll be an embarrassment to them and they won’t want to talk to her, but she responds by saying that she’ll just pack up her bags and go and stand outside their apartments. The twentysomething who’s in an extended adolescence is something of a fiction: economics, rather than personal choice, have more to do with whether a person can reach the stages of maturity. But there is an ambivalence there. The world is full of older people who appear to be happy and claim to be happy. But they are, nonetheless, trapped. Their careers are set. They have children, mortgages, etc. We know that autonomy is a critical part of being happy, and at some point, if you follow the path you’re expected to follow, then you give up that autonomy. And it is difficult to believe that there is not some absence–a perpetual lack of something–that accompanies that loss. Fiction and movies are not particularly reassuring on this point, since they are generally about people in distress. 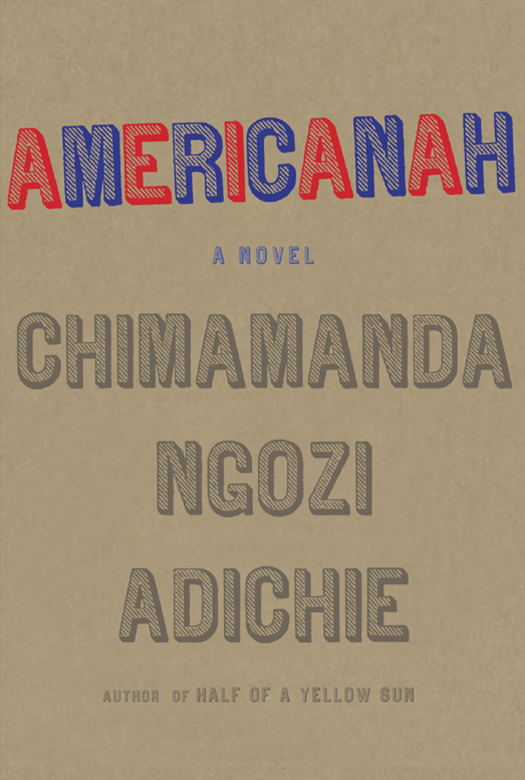 But the two main characters in Americanah do manage to retain something: a joyousness. They’re both (even the one who makes his fortune in Nigeria) total yuppies. But they retain the ability to desire things and to act decisively for the things they want. I loved “Half of the Yellow Sun” so I am excited to read this. Thank you for the review. Did you like it? This is the first thing I’ve read by her. I kind of want to go through and read all the rest of her stuff! I loved it. You should definitely read it.